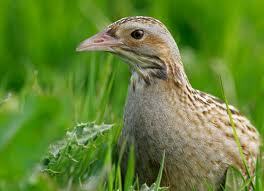 The Corncrake, heard more than seen, at Howmore. Loch Druidibeg Nature Reserve, a short distance to the north of Howmore. 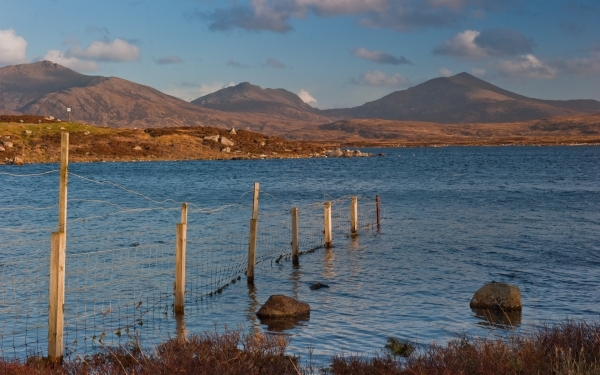 Under two miles to the north of Howmore is the Loch Druidibeg Nature Reserve, a significant breeding ground for the Corncrake or Landrail (Crex crex). These birds are to be found from these western shores of Europe across Asia as far as western China. They migrate to Africa during the winter months in the northern hemisphere. Corncrakes live on dry land, are secretive by spending much time hiding in vegetation, such as the machair Their rasping call, known to have both disturbed and excited hostellers, is reflected in the Latin name. In flight their chestnut wings and trailing legs are easily recognised. This briefing on the bird could be useful, for the topic is often brought up in the hostel common room.